Originally from Australia, Kate holds degrees in Education and Counseling, and an MFA in Directing from the University of Portland. She is a freelance theatre professional, educator, and horse lady. Kate created Performing Wellness ™ and later co-founded the Well Arts Institute in Portland, Oregon. There she created, produced and directed 7 Performing Wellness productions working with partners including Oregon Health Sciences University, the VA, the MS Society and different theatre companies. She was the Education/Outreach Director and Artistic Associate at Artists Repertory Theatre, (Portland) where she developed outreach theatre-based programs working with youth and adults in a range of environments including special treatment programs. Kate served as adjunct faculty in the Theatre & Communications Department for 18 years at Linfield College, teaching acting, general theatre and directing. Kate was a consultant with the Society for Arts in Healthcare (now the Arts and Health Alliance) providing support with nonprofit organization, planning and fundraising. She is co-founder (2013) and Producing Artistic Director of Red Earth Theatre based in Sedona, Arizona, operating as ‘nomadic’ theatre partnering with different organizations creating theatre all over the place. Through Red Earth Kate created and managed the Sedona Hub a performing arts/art exhibit venue available to the entire community. She coordinated bookings, cleaned bathrooms, paid the bills and created a special performances in collaboration with renters from visual arts to live performance. Kate has worked in all aspects of theatre from management to teaching, producing, directing, acting and writing. Playwrighting credits include Sky….Diamonds, a full length play about a family living with Alzheimer’s, nominated for a 2014 Flagstaff Arts Council Viola Award. Loplop and the Queen, was written for the week-long celebration of surrealist artists Max Ernst and Dorothea Tanning and played at the Sedona Heritage Museum. She has also written numerous 10-minute plays as well as plays for young audiences, of which many have been produced. She coaches playwrights and helps others create original work. She is the author of Personal Magic- Conscious Empowerment Through Creativity & Spirit and offers workshops based on that book, tailored for individuals or groups. Acting credits include The Gingerbread Lady (Evie), Medea (Medea), Equus (Dysart), Painting Churches (Mags), Eleemosynary (Artie) and the one-women show Performing Wellness: 1 Woman,10 Stories On Stage. She also stepped back on stage playing the lead in her play Sky..Diamonds. As a director, her work includes professional productions of Secret Bridesmaid’s Business, Quilters, The Weir, the American Premier of Sweet Phoebe and the world premier of Fred & Mary: An Unconventional Romance at the Prescott Elks Opera House in 2012. College productions include Mother Courage, Antigone, Reckless, Voice of The Prairie, and Keely and Du. 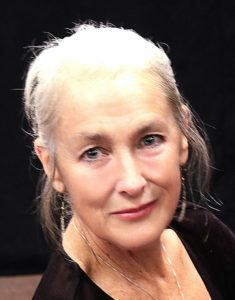 She has directed many productions for Red Earth Theatre including The Wild Party, the original script Recycling with a Unicorn for a site-specific production at Sedona Recycles, Round & Round the Garden, Loplop and the Queen, Interiors and Traveling Through Shakespeare an original production she created to honor the 400th Anniversary of Shakespeare’s death. Most recently she directed Morley, a new play that Red Earth Theatre shepherded through a 5 month workshop process to its first public production. Balancing all this creative endeavor is her passion for the outdoors. She provides opportunity for individuals to find balance and healing through facilitated interaction with her two horses. ‘Conversation with A Horse’ is a new program she is offering with 1-1facilitated interaction with one of her horses, to bring clarity and confidence to the client. Also a trail runner, the bounty of the red rocks of Sedona keep her grounded enough to manage the unpredictability of nonprofit live theatre and the vicissitudes of life lived on the edge.